Setting up group plans, especially dates, is not an easy feat. But fear not, foodie friends: long gone are the days of the "I don't know, where do you want to go?" spell. 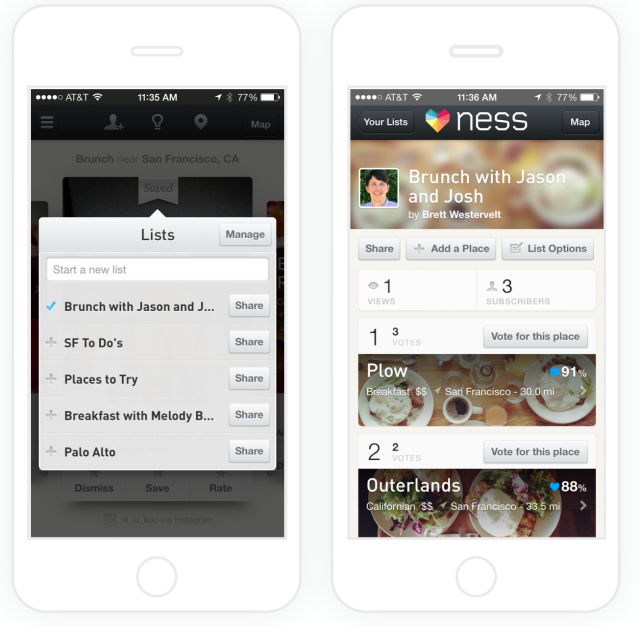 Ness, a restaurant recommendation engine, has recently announced a new feature that allows instant recommendations for groups, combining several people's personalized recommendations. The alleged outcome is a list of places that everyone can agree on.